***Please Note: Overseas: A non refundable booking fee of $500AUD for Pets and Show Neuters and $1000AUD for Breeder Kittens. If you cancel your order then you will lose your booking fee. All pet kittens are only available desexed, please do not ask for an undesexed pet. We use and recommend using a wood pellet litter in a two piece sieve tray. THIS IS WHAT YOUR BABY IS USED TO USING. We find this to be the most economical and Eco friendly litter without having that horrid urine smell that you can get from some of the other litters around. NEVER USE a CLUMPING LITTER OR CRYSTALS. We do have the 15kg bags of wood pellet litter as well as the 2 piece sieve trays AVAILABLE FOR PURCHASE. We also have AVAILABLE FOR PURCHASE the PP20 carry crates which are strong and will last a lifetime, not like the ones you buy in cheap shops which the doors usually fall of. 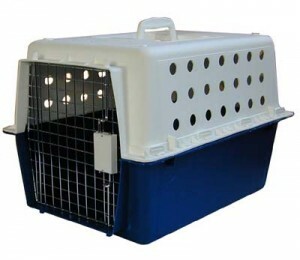 This is a good sized crate that will be suitable for your baby as an adult, kittens do like to sleep inside them as well. No kitten will be allowed to leave our home unless in a suitable pet carry crate – this is to ensure their safety as well as prevent them from escaping. No cardboard boxes or crates, they are not suitable. It is also illegal to carry a pet on your lap. Our kittens also leave with 6 weeks of pet insurance with Petplan. We strongly recommend that you continue your cover as accidents can happen and cats can get sick and vets are very expensive. Kittens can get into all sorts of things and some ingest things they shouldn’t that needs to be removed surgically and this can run into thousands of $$$$$. All Amberglade Ragdoll babies are born and raised in our home, not in a cattery, where they are given plenty of love and attention, therefore they are well socialised and used to the everyday noises and goings on of a family home. They are a very PURRRECIOUS and MUCH LOVED part of our family. We ONLY allow our kittens to go to their new homes when the right, kind, warm, loving family is found for each one!!! All kittens leave Amberglade on the understanding that they are strictly INDOOR Cats ONLY, although they may spend time outside if confined to an enclosed area that will keep them safe. Our Kittens are generally available at 12 weeks of age, not before, it is dependent on each individual kittens development and to approved homes only. Sometimes girls can take a bit longer as they require more time to heal after being desexed. All kittens leave with a copy of their Pedigree, health/vet checked, desexed, vaccinated with Fevac 3, up to date worming and kitty litter trained before going to their new homes. You also receive a Kitten Pack including a Diet Sheet, Worming chart, Microchip details and Desexing Certificate. You also receive a 2 Kg bag of Royal Canin Mother and Babycat dry food as well as the Royal Canin wet Food Sample, Kitten Instinctive in gravy, a discount voucher and other important information. K ITTEN PACKS are only available to kittens being picked up from our home as the airlines no longer will let me attach the 2 Kg bag of food to the PP20. When you purchase a kitten from Amberglade Ragdolls, it does not mean that our commitment stops here. We offer continued support to the new owners, and are always interested to hear about the growth and progress of our kittens. We love receiving pictures and updates from their new family, this is greatly appreciated and welcomed. If you have ANY problems or questions at all after taking your kitten home, please do not hesitate to contact us. We reserve the right to cancel any sale or refuse sale of a kitten if we feel that the buyer is not equipped to care for the kitten in a safe and proper environment. No kitten will be allowed to leave if you do not provide a suitable cat carrier, preferably a new one or at least one that has been thoroughly disinfected. This is to ensure the safety and health of your new kitten. Freight not included. Fees and charges are subject to change without notice. Interstate and International enquiries are welcome. Transportation by air can be arranged, all costs involving transportation, etc. of your kitten are to be paid by the purchaser. To selected homes only and upon availability of kittens that strictly meet the standard. Visiting is no longer allowed as we don’t want to risk the health of young babies and expectant mothers. No one may visit our home if they have been to another cattery, pet store, shelter etc. on the same day of collecting their kitten – NO EXCEPTIONS. The health of all our cats and kittens is of utmost importance and we are sure that you wouldn’t want to risk the health of your new potential baby. We DNA test for PKD & HCM and have also tested new breeding cats bought in for FIV and FeLV and all have been Negative, we run a closed cattery.